There's a saying -- at least I read it on a t-shirt once -- that "everyone's Irish on St. Patrick's Day." Well, if that holds true for people, why not for whiskeys as well? There's a saying -- at least I read it on a t-shirt once -- that "everyone's Irish on St. Patrick's Day." Well, if that holds true for people, why not for whiskeys as well? Before you tell me why not, keep in mind that this was originally going to be a writeup of two great Irish whiskeys that are new to the American market. But then I tried Kavalan Solist, from Taiwan. And Brenne, from France. And Old Blowhard, from Kentucky. And, well... two whiskeys from Ireland soon became a dozen new releases from all over the globe. I mean, how could I not spill the beans about them all? So maybe you'll save the Green Spot and Redbreast 21 for March 17, but you've gotta drink on the 16th and the 18th too, right? Hell, whiskey is whiskey and good is good and these are all good (a few of them are even great), any day of the year. So Slainte, Erin go Bragh, L'chaim, here's mud in your eye, and anything else you might say before downing a drop or two of some fine brown booze. Irish or not. 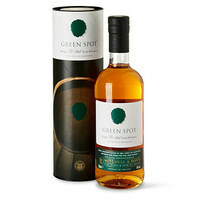 GREEN SPOT SINGLE POT STILL (40% ABV, no age statement, $50). Green Spot has been sold in Ireland in one form or another for about a century, and it's now making its belated bow in the States. And it's about damn time! This is one of the greatest Irish whiskeys -- one of the greatest whiskeys, period -- that you'll have the pleasure of quaffing. It's a blend of malted and unmalted barley, entirely pot-distilled and aged for 7-12 years, some of it in ex-sherry casks. Nothing fancy, nothing gimmicky, just really tasty booze -- honey sweet with a clean, dry edge, a hint of sherried fruitiness, very easy going down but never boring. This is what so many distillers strive for but few achieve. No need to wait for St. Patrick's Day to start drinking this one. REDBREAST 21 YEAR OLD (46% ABV, aged 21-28 years, $250). 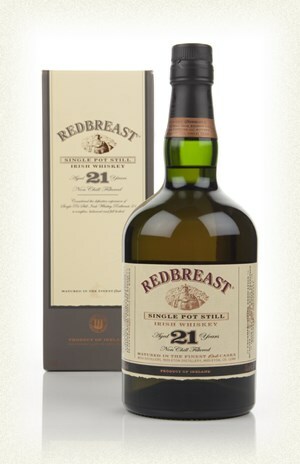 Redbreast's 12-year-old Cask Strength bottling almost singlehandedly changed my impression of Irish whiskey. As distinctive, as flavorful and with as much gravitas as any brand from any other country, it put lie to the myth of the light, easy drinking, somewhat tame Irish whiskeys that I'd heard about (and on occasion drank) for so many years. The new 21 Year Old didn't dazzle me quite as much -- you can only fall in love for the first time once, I suppose. But damn, is it delicious. 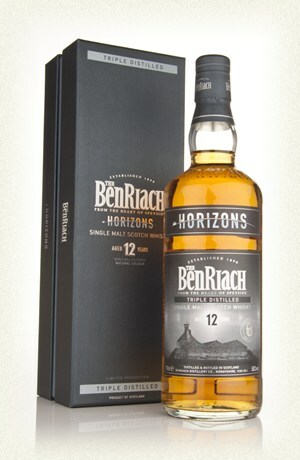 It's a blend of four different whiskeys, only one of which spent any time in sherry casks. But the sherry influence comes through loud and clear, with raisin, berry and citrus notes along with tons of wood and spice that bely its age. This is a whiskey meant for sipping while contemplating life. And if you're contemplating while drinking Redbreast 21, then your life is probably pretty good indeed. 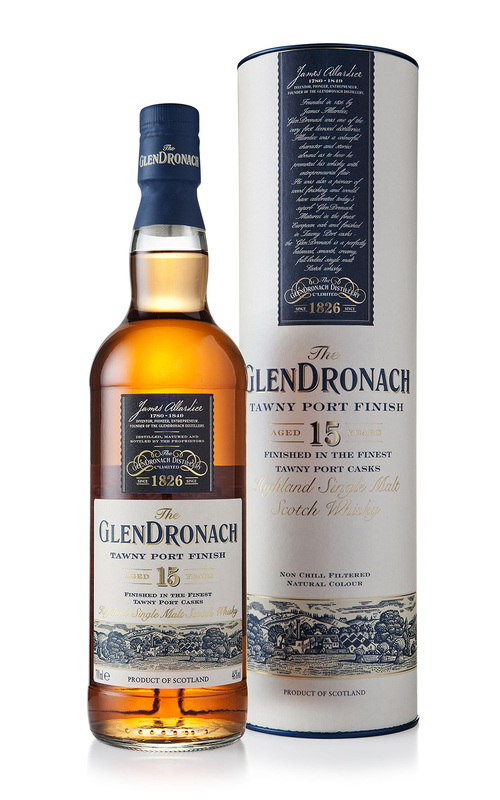 GLENDRONACH TAWNY PORT WOOD FINISH 15 YEAR OLD (46% ABV, aged 15 years, $80). Now don't get me wrong, maturing a whisky in sherry casks makes for a swell dram -- why else do you think there are so damn many sherry cask-matured whiskies out there? But it's always nice to find something non-sherried out there. Like this spiffy little port pipe-finished number from the GlenDronach, a brand known for its sherry cask aging. Go figure. The nice thing about Tawny Port Wood Finish is that you get all those rich, deep fruity notes you'd expect, but it's not nearly as sweet as you might fear. The port enhances the whisky but doesn't dominate it; there's still a lot of grain and spice in the mix, with a fascinating bitter chocolate/coffee finish that lingers like the gray snow that's been piled up on New York City sidewalks since January. HIGH WEST A MIDWINTER NIGHT'S DRAM (49.3% ABV, no age statement, $80). OK, winter's almost over, and unless you live near the High West saloon, you won't be able to buy this one until October. So forgive me for my premature kvelling -- or as my Mormon brethren would say, being really excited -- about the latest offering from one of my favorite distilleries. It's their excellent Rendezvous Rye (worth trying in its own right), finished in port and French oak barrels. The idea was to make a rye whiskey that tastes like a Christmas pudding. Being Jewish, I'm more familiar with latkes and Hanukkah gelt, but A Midwinter Night's Dram is delicious whatever holiday you're celebrating, full of dark fruit, vanilla, caramel and spices to go with the dry rye flavors anchoring the whole deal. The flavors are reminiscent of winter, but hell, turn up the air conditioning a bit and a dram will taste great come July. 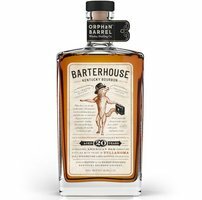 ORPHAN BARREL BARTERHOUSE (45.1% ABV, aged 20 years, $75). Diageo is the world's biggest whiskey producer, so it only makes sense they've got a lot of stray whiskey lying around -- barrels that, for one reason or another, slipped through the cracks. Too good for blending into other brands but not enough of the stuff to mass-market. In the '90s, Diageo started marketing one-off single malts as the Rare Malts series, and with the Orphan Barrel series they're doing the same thing for whiskeys around the world. The first two bottlings are bourbons aged in the legendary Stitzel-Weller warehouse. Barterhouse, a 20 year old gem, is a lot less woody than you'd think given its age and reddish amber color. It's as smooth as silk undies on a baby's bottom, with notes of allspice, tea, dark chocolate, just a bit of cherry, and a little oaky tingle on the finish. In a word, it's stunning. 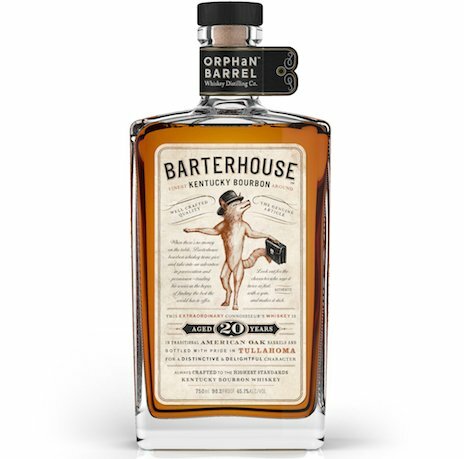 I don't know how many bottles of Barterhouse are going to be released, but I think I want to stockpile every one of them for myself. If you see someone lurking in your local liquor store with an armful of Barterhouse bottles, say hello. 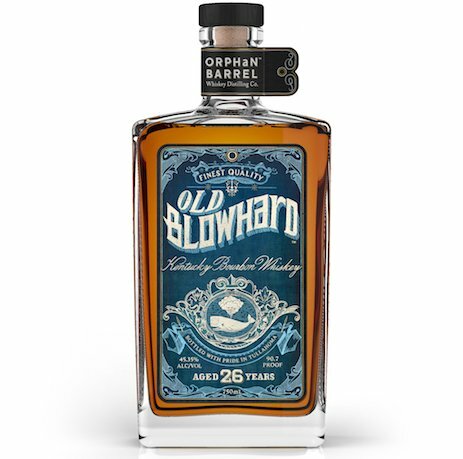 ORPHAN BARREL OLD BLOWHARD (45.35% ABV, aged 26 years, $150). The other new entry in the Orphan Barrel series was distilled in 1987 at the original Bernheim distillery (the current one opened in 1992); this is probably the last "new" whiskey to have been made there, which should delight whiskey geeks no end. Bourbon doesn't age like Scotch, due to the makeup of the juice itself (corn-based bourbon is more delicate than barley-based Scotch) and the climate (Kentucky has a much more variable climate than cold-and-clammy Scotland). As a result, 26 year old single malts aren't too uncommon, but a 26 year old bourbon that doesn't taste like you're licking an oak stave is a small miracle. 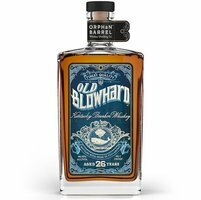 Old Blowhard is definitely woodier and more tannic than Barterhouse, but it's also rich and luscious, full of caramel, hazelnuts, almonds and honey. It's a mighty powerful bourbon, but with a delicate touch -- the iron fist in the velvet glove. 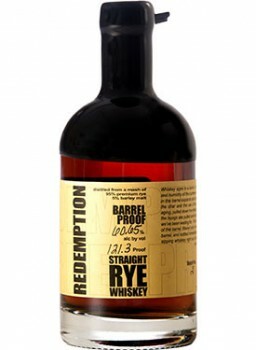 REDEMPTION BARREL PROOF STRAIGHT RYE (61% ABV, aged 6 years, $80). Straight outta Indiana, Redemption made its debut a few years ago, and while it's a nice, inexpensive whiskey that's great for mixing, it suffers from the same problem a lot of new brands have -- the juice just hasn't been aged enough. Which is why it's exciting to see that the Barrel Proof has been aged for six full years. Damn, this stuff was laid down so long ago that back then, nobody had ever heard of Lady Gaga or One Direction! Its elder status doesn't alter the candied orange peel and honey flavors that dominate both the Barrel Proof and standard 2-year-old bottling, but it does focus and concentrate them a little more. Sweet though it may be, your taste buds still get quite a knocking around from all that alcohol; we're talkin' serious firewater here. But hey, "barrel proof" doesn't mean "you are obligated to breathe fire with this stuff," it just means that you can add the water yourself. In other words, more whiskey for your money. And I find that a few drops of the ol' agua smooth things out considerably. I dunno if it's worth what they're charging, but if you see it on the back wall at your local tavern, it's worth the price of a glass, at least. 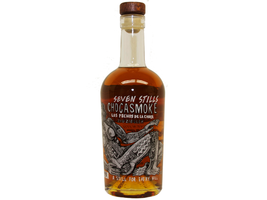 SEVEN STILLS CHOCASMOKE (47% ABV, no age statement, $55). It's a fact that all whiskey, before distillation and aging, starts out as beer (minus the hops, which give beer its characteristic bitterness). But if you were to actually drink that beer, it probably wouldn't be very good. That's because the distillers have their eyes on the prize, the final product, and not the stuff that nobody's going to drink anyway. Well, the good folks at Seven Stills thought, what if we make a beer -- in this case, a chocolate oatmeal stout spiked with a little peated malt-- that's actually really good on its own merits, and then turn that into a whiskey? 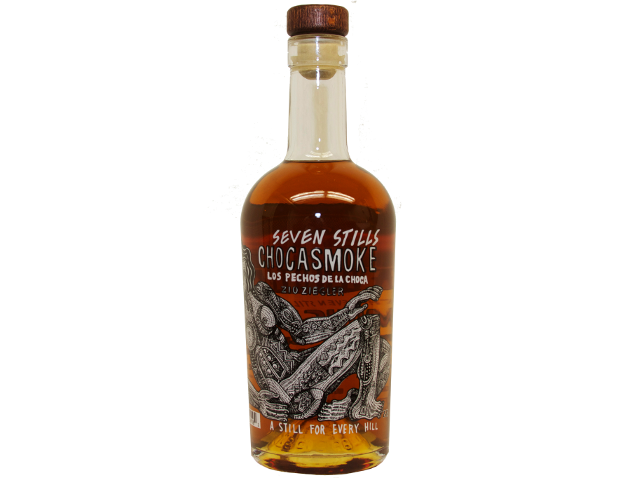 The result is Chocasmoke, the first of seven planned whiskeys meant to honor the seven hills of San Francisco. It's a beauty that doesn't taste like any other whiskey out there, rich with notes of, you guessed it, chocolate and oatmeal, with just a faint whisper of smoke on the finish. A few drops of water tone down the chocoliciousness and up the grain and smoke a little. Less than 400 bottles are out there, almost all of them in California, so if you see one, snap it up posthaste. 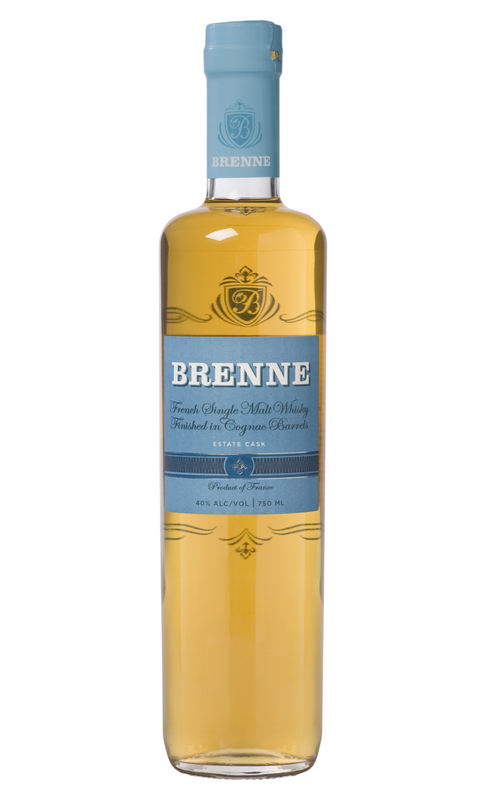 BRENNE WHISKY (France; 40% alcohol by volume, no age statement, $60). Brenne has been available here and there, mostly in New York, since late 2012, but it's just now rolling out in force around the country. Brenne is the brainchild of New Yorker Allison Patel, but it's made "from seed to spirit," as she puts it, in the Cognac region of France. Aged in new Limousin oak barrels and finished in used cognac barrels, this is whisky, Jim, but it's not whisky as we know it. It's all softness and sweetness and fruit and light and cuddly teddy bears and flowers and... well, you get the point. It's bursting with sweet grape and apple notes, there's caramel and vanilla and milk chocolate in there... and yet it's not sickly sweet. There's no age statement, but I think a little more aging would be fascinating, to add a little more heft underneath all the delicate flavors. That said, Brenne is still damn good as-is. If your knowledge of whisky is limited to big, peaty Scotches, Brenne will be a revelation. Hell, it's an eye-opener no matter how much you know about the category. CROWN ROYAL XO (Canada; 40% ABV, no age statement, $50). Canadian whisky is like the Rodney Dangerfield of booze -- it don't get no respect. Unlike Dangerfield, however, a lot of Canadian whisky is downright boring. To be fair, it was intended that way; in the post-Prohibition era and through most of the 20th century, light and smooth Canadian blends were the whisky of choice for most imbibers. But recent years have seen educated palates turn to bolder, more distinctive flavors, leaving established brands like Canadian Club and Crown Royal dog-paddling in their wake. 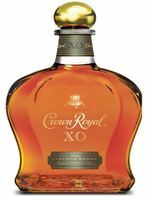 Crown Royal XO, which is finished in barrels previously used to age cognac (no indication of which cognac or how long they're aged), seems like an attempt to modernize and upgrade the brand. It does indeed open up with a bit of fruitiness, though the cognac influence is quickly stifled by drier, oakier flavors. On the whole it's a little bigger and bolder and more complex than standard Crown Royal, though for palates used to big single malts and brash American whiskeys, it'll still come off as a little bland. If you're in the mood for smooth, this is a good one, though at $50 it's a bit pricey. 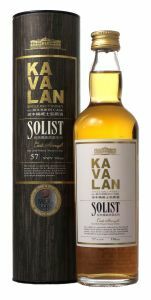 KAVALAN SOLIST CASK STRENGTH (Taiwan; 57.1% ABV, no age statement, $110). An Asian whisky-loving friend brought this home for me from a business trip to Taiwan a few months ago. I'd never heard of it, but the very next day it was awarded World Whisky of the Year in Whisky Advocate magazine. Needless to say, my interest was piqued. And in short order, my taste buds were peaking, riding the wave of this fabulous whisky. It's clean and crisp and nonsense-free, with notes of vanilla, honey, tropical fruits and lots of spice; a little water tones down the alcoholic heat and ramps up the glorious interplay of sweet and dry, fruity and oaky, delicious and, um, delicious. Kavalan is coming to the States in April -- grab your calendar and start counting down the days.